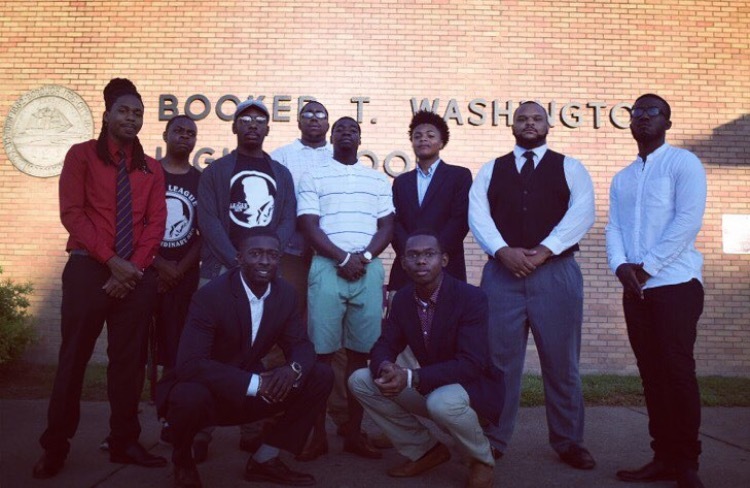 The League of Extraordinary Men, an all-male organization on campus whose goal is to empower collegiate males to always fill the void, made it a point to be up at 6:00 a.m. sharp on Sept. 8 to welcome Norfolk students back to school. These extraordinary men stood at the entrance of Booker T. Washington High School, Campostella Elementry School and Chesterfield Academy with suits, ties and bright smiles to show returning children there are people who look just like them, care deeply about them and want them to succeed in everything they do. The League’s president, Damon Ricks, explained why it was important to the community. “We’re needed in our community in this day and age. The children pay attention to the examples we set, good or bad. The positive influences we have on them will give them that much more fight to never give up,” Ricks said. The League of Extraordinary Men keeps up with these children throughout the school year to make sure the children stay on track. The League is well-respected within Norfolk Public Schools. Every time they go out to one of these schools, they always make a difference and give children hope they may have been lacking otherwise. Tags: first day of school, League of Extraordinary Men, Norfolk, Norfolk Public Schools, Norfolk State, NSU, students. Bookmark the permalink.